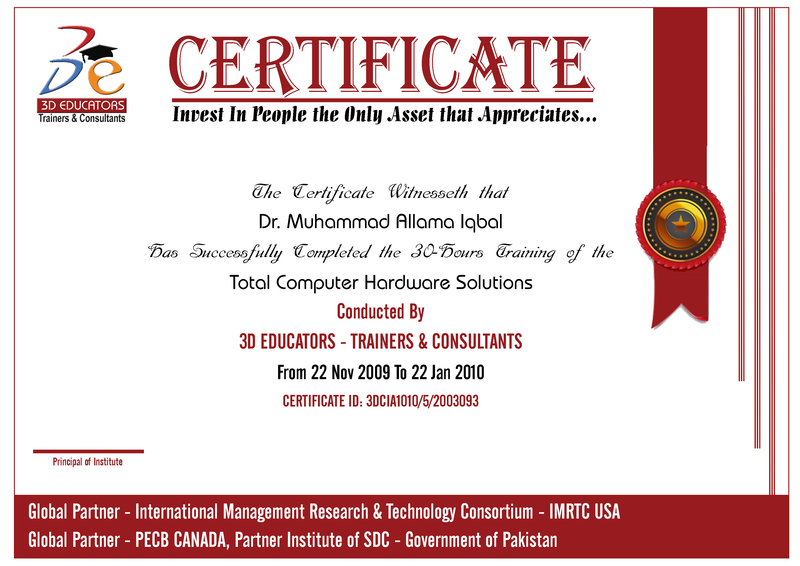 Computer hardware technician training program is introduce by 3D EDUCATORS. This program covers the major aspect of computer hardware problems, computer hardware issues, computer repairing,and computer assembling. This program also covers the usual problems in the computer system that usually occurs, so the user can identify and resolve the problem on his end. This program is also helpful for those who are the layman in computers and does't know about the computers and its functions technically. The computer hardware training held in Karachi, Pakistan and this computer hardware course is scheduled according to the calendar. The program also covers the installation of operating systems like windows, Linux and trainer will also provide the guidelines that how to install the other applications in your computer systems. 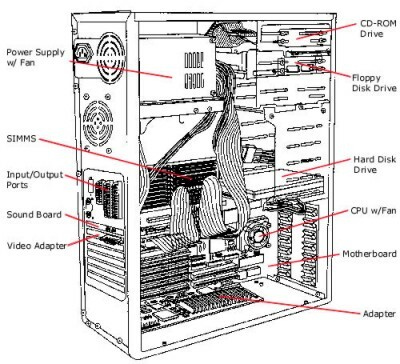 This computer hardware technician training is absolutely the practical oriented training in the computer labs, where the students can trouble shoot the different problems that would be occurred in the computer hardware and find the solution that how to resolve it. This program also covers the COMPTIA standards and enable you to perform the A+ Certification as well. It mean the candidate will also have the another flavor of training and equipped one of the another certification that is A+ Certification. Over Seventeen Years of Professional Experience in the field of IT, Project Management and Technology Management. He has enormous experience in the Programming Languages, databases, Data-Centers and E-Commerce Solutions. Further he has extensive experience and knowledge of I.T. Audit and System Security Audit and its implementation where have written a complete manual and guidelines for ISACA Chapter USA. Extensive knowledge and practical experience about Project Management, Planning and its implementation with the latest and updated knowledge related to PMI Chapter � USA. Right now he is engaged with various projects with the platform of 3D GROUP. In his tenure, he has implemented more than 1500+ Projects timely and successfully. Further he has trained almost 50000 candidates in different countries of world. "Everyone who would like to learn Computer Hardware and Windows and Application Installations." Any One who would like to enhances their skills in computer hardware and its trouble shooting. This Program is Internationally Recognized and Accredited with CompTIA, Microsoft and Novel.